Operator tech Jesse Sain watches a batch of raw fibers get drawn into a machine at the Propex plant in Ringgold, Ga., on March 14, 2012. Propex has moved its production focus from carpet backing to industrial and infrastructure geotextiles, including materials used in waste containment, asphalt laying, and concrete construction. A New Jersey based subsidiary of a Swedish specialty chemical company has acquired the $30 million-a-year concrete fibers business and its Fibermesh brand from Propex Inc., including the company's 127,903-square-foot plant in Chattanooga that produces all of the Fibermesh products sold around the globe. The Sika Group, which maintains its U.S. headquarters in Lynhurst, New Jersey, bought the concrete fibers unit to expand its portfolio of related products sold to the construction industry. With the purchase, 65 Propex Fibermesh employees will transition to Sika. The concrete fibers business accounts for less than 10 percent of Propex's annual revenues of about $400 million, but Sika Regional Manager Christoph Ganz said "the Fibermesh brand is a great fit" and "brings even greater value to existing and new Sika customers within the ready-mix and precast concrete market." Propex will maintain its headquarters at its plant on Industrial Drive in Chattanooga, at least for the immediate future, and will focus on its geotextiles, carpet backing and composites business lines. Propex operates other facilities in the region at its geosolutions plant in Ringgold, Ga., and a geotextiles and carpet backing plant in Hazelhurst, Ga.
Sika Group, which started in 1910, serves the building and motor vehicle supplies and is headquartered in Baar, Switzerland. It has a leading market position in both the building sector and the automotive industry. 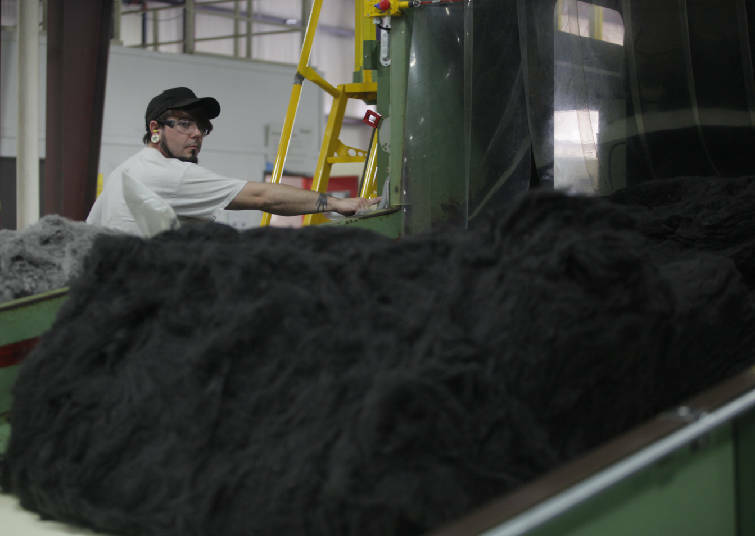 "The Fibermesh brand is the industry standard for quality and performance," Ganz said. "As part of Sika, we see enormous growth opportunities for Fibermesh, especially in our solutions for construction in big city environments and for our tunneling and mining business." Sika's purchase of Propex's Fibermesh follows the acquisitions of Radmix in Australia and FRC Industries in Tuscloosa, Ala., as well as the opening of a fiber production line in Germany. "Combined with Sika's existing global fiber portfolio and concrete admixture product range, this will further expand Sika's offering to concrete customers worldwide," Ganz said. Michael Gorey, CEO of the Propex, said Monday he is "confident that Sika will continue to advance the mission of the Fibermesh brand." Gorey said Sika "has a solid record of commitment to its acquired companies, investing in the long-term achievements of its people, products and assets." In an announcement of the sale, Propex said the purchase gives the company "greater commitment to its remaining business units, especially our growing GeoSolutions and Carpet Backing divisions." The sale is the biggest for Propex since the company emerged from its bankruptcy reorganization nearly a decade ago. Propex, which relocated its corporate headquarters from Warehouse Row in Chattanooga to the Industrial Drive plant last year, emerged from its Chapter 11 reorganization in 2009 with the purchase of the company by the Minnesota-based private equity firm Wayzata Investment Properties, which continues to own Propex..
Gorey said Propex continues to pioneer the synthetic fiber and fabric industry with production and sales facilities in the United States, Brazil, Mexico, Germany, and Hungary that produce hundreds of thousands of advanced products for a myriad of industries.